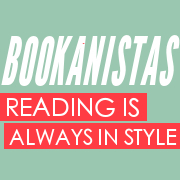 Way back in 2010, reader-bloggers Lisa & Laura Roecker and Elana Johnson, and some bookish friends including Kirsten Hubbard, Shannon Messenger and Scott Tracey, formed a group called The Bookanistas. The notion was to share their love of books, celebrate the good in YA and MG literature and to encourage reading. Between 2010 and 2013, some amazing things happened. Two Bookanistas became NYT best-sellers: Beth Revis (Across the Universe) and Veronica Roth (Divergent). Many others published novels, had babies, moved into new homes, changed jobs, got married...the Bookanista roster changed. Life. You get it. Through it all, that founding passion for reading and sharing favorite books never lagged. Today, we are relaunching our site with a BIG BOOKANISTA GIVEAWAY of signed copies of Bookanista publications, favorite books, and some fun swag. So come join the fun, win some stuff, and help us ensure that READING IS ALWAYS IN STYLE. Amazing giveaway! And welcome back. So glad to see you re-engaging!